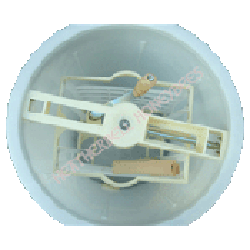 Polythene 2 Frame Manual Tangential Honey Extractor. Manually operated tangential extractor. Very thick and rigid polythene construction. 40cm diameter at top, 65 cm height.